Now is the time to remember Bernie Sanders: Can a new Political Center yet Emerge? Amid all the “sound and fury” of the Clinton-Trump spectacle, what of Bernie Sanders and his “political revolution”? Given its disappointing and dispiriting end, how should Sanders’ campaign come to be viewed by the millions of Americans who supported him? Although opinions among his supporters vary, Sanders seems to have better served the longer-term interests of the progressive movement, and of third parties, by not running for president as an independent or as candidate of the Green Party. The surprising appeal of Sanders’ campaign nevertheless holds important lessons that progressives and reform-minded Democrats should heed if “democratic socialism,” or anything closely resembling it, is to become part of our mainstream political culture. To help achieve that goal, Americans must recognize not only the potential for change, but also the realistic limits upon it, demonstrated by Sanders’ campaign for the presidency. Conversely, the ultimate failure of Sanders’ campaign raises two related questions: first, is reform of the Democratic Party possible; and, second, if not, can the Green Party gain the support of a majority of Americans, or will it remain a dissident party of the left on the margins of American political life? As a lifelong independent and proponent of third parties, Sanders undoubtedly grappled with these questions as he contemplated running for president. In the end, despite having spent decades as an independent voice crying out in a political wilderness, or, perhaps, because he had, Sanders placed a momentous bet on a potential reformation of the Democratic Party. Whether he stands to lose that bet remains to be seen. Progressives angry with Sanders for not running as an independent, or as candidate of the Green Party after losing the nomination know what would have happened had he done so. With Sanders splitting Democratic and independent votes, he would have been blamed for Trump’s election, resulting in a popular backlash against Sanders and third parties generally. Thus, an independent or Green Party bid would have brought about neither a Sanders presidency nor any significant erosion of the two-party stranglehold. Although some contend that even had he lost at the head of a Green Party ticket Sanders would have improved the party’s prospects in 2020 and beyond, the argument seems wishful thinking at best. More likely, a loss in 2016 would have set back the progressive movement and dealt a blow to the future electoral prospects of the Green Party. Not surprisingly, many progressives and center-left Democrats disappointed by Sanders’ loss have now turned away from the Democratic Party and shifted their support to Jill Stein of the Green Party. The growing viability of third parties is indeed essential if progress is to be made toward chipping away at the monstrous political duopoly that has brought us to where we are today. Yet, it is indisputable that neither the Greens nor Libertarians have a realistic chance of shattering the two-party edifice anytime soon. Although a viable third party challenge at the presidential level would give our petrified political landscape a long overdue jolt, both the Green and Libertarian Parties lack the most essential element needed to win an election today—money and the capacity to raise large sums of it. Sanders proved that a candidate, at least a candidate of one of the major parties, can raise the significant sums needed to run a national campaign without relying on corporate PAC donations and billionaires. Neither the Green nor Libertarian Parties currently come close to displaying an ability to match his accomplishment. Greens and Libertarians have even less power than money, at least at the national level. What they do have, in abundance, are principles. Their platforms are filled with them. But many of the parties’ ideas are too far removed from mainstream political thinking to gain widespread acceptance among Americans and, in fact, have the opposite effect of turning off voters who view Greens and Libertarians as outliers. Holding firm to these extreme positions will only lead to the parties’ continued marginalization in American politics. For example, few people honestly believe that the federal government should or can be reduced to the extent proposed by the Libertarian Party. The party’s endorsement of personal liberties appeals to many Americans, including many progressives, but its ideas about shrinking the role and size of government harken to another age, and are almost akin to the debates undertaken by the Founders in Philadelphia. As for the Greens, many of their proposals, such as single payer insurance, resonate with Americans, as Sanders’ campaign proved. But, in 2016 America it is simply unrealistic to advocate such things as reparations for millions of descendants of slaves, wiping out a trillion-plus dollars of student debt through the Federal Reserve’s printing of money, or immediately slashing the defense budget by 50 percent and closing every one of America’s 800 overseas military bases. Compelling historical and moral arguments can be advanced to support such proposals, but whether or not Greens and other progressives are prepared to admit it, they are dead on arrival with broad sectors of the American public, no less a Congress corrupted by corporate and neoconservative overlords. Without support from large numbers, no less a majority of Americans, such proposals will never be enacted. So long as the Green Party continues to advocate for them and similar measures it will remain on the fringes of American politics, at least at the presidential level—a party of ideals but not power. This may be what Greens prefer. But, although ideological purity is laudable as a matter of personal virtue, it won’t help bring about the dramatic changes in policy that our political system so desperately needs and that only a party in power can deliver. There seems little question that Sanders understood this dynamic when he initially chose to run as a Democrat, rather than an independent, and later, after losing the nomination to Clinton, shunned the overtures of Jill Stein to run at the head of a Green Party ticket. To help bring about such changes in the near term, progressives should focus instead on activism that alters voters’ perceptions of the true political “center,” currently distorted by corporate and mainstream media influence. They must work to redefine that center by promoting those social, economic, defense, and foreign policy reforms around which a majority consensus among Americans already exists or can realistically emerge, and demanding that political leaders govern accordingly—in effect, moving the center to the left. In his campaign, Sanders began this process of changing voters’ perceptions about what is possible in America. In doing so, he struck at the heart of the empire of establishment politics and, indirectly, at the major party duopoly that sustains it. For the reasons we address below, the wound may ultimately prove fatal. When Sanders jumped into the presidential race he probably expected to accomplish no more than to force a center-right Clinton leftward. But his genius was to recognize and act quickly upon his supporters’ unexpected receptivity to his ideas to kick off just such an evolution in perceptions about the political center. He did it not by imploring millions of voters to change their minds about important issues—many falsely depicted by the mainstream media as controversial and highly polarizing—but mostly by convincing them that, in fact, they already agreed with his ideas and proposals regarding those same issues. There is no better example than the issue of health care. Undeterred by Republicans’ relentless attacks on Obamacare, in every speech Sanders stubbornly repeated that access to health care is a fundamental human right and that a single payer system is the best way to deliver it. Thus, only a few years after most Americans had become resigned to never again hearing about the reform of our ailing health care system—precisely what political elites from both major parties, including Clinton, were insisting could not be done—they were reminded that they actually support, and that a majority of Americans actually support, universal health care and single payer. In other words, Sanders stressed what millions of Americans had understood all along: Obamacare doesn’t represent too much reform of the health care system, but too little. And it isn’t the American people who stand in the way of single payer, but a rapacious insurance industry catered to by political elites. Sanders’ proposals for health care, and for reducing corporate influence in government, breaking up the big banks, raising the minimum wage, free public college education, and remedying income inequality, were refreshingly unorthodox for a major party candidate. At the same time, his positions on various social issues—for example, gun control, the death penalty, and mass incarceration—seemed never to be driven by polling data, but remained remarkably consistent with those he had expressed for decades. Unlike many candidates, there were few “gotcha” moments for Sanders during his campaign. Although Sanders never went as far as Jill Stein in his critiques of America’s disastrous foreign policy, he roundly condemned regime change wars in the Middle East and broke new ground for a Democratic candidate for president by refusing to embrace Benjamin Netanyahu, Israel’s belligerent prime minister, and expressing empathy—in the midst of the New York primary no less—for Palestinian suffering resulting from Israel’s attacks on, and boycott of the Gaza Strip. Unlike every other major party candidate, he declined to make the quadrennial pilgrimage to pay homage to the American Israel Public Affairs Committee and delivered written remarks instead rejecting Israel’s expansionist policies and suggesting a more balanced American approach to the Israel-Palestine dispute. Perhaps equally astonishing, he smashed another sacred totem of conventional politics by repudiating Henry Kissinger, who many consider a virtual war criminal, and who serves simultaneously as dean emeritus for foreign policy establishment elites and Clinton’s private consigliere on matters pertaining to America’s global imperium. In sum, the surprising enthusiasm for Sanders and his democratic socialist program, displayed by millions of primary voters—including large numbers of independents who represent more than 40 percent of all voters—and in national polls that showed him leading all other primary candidates for president, proved that the center is not where the political, financial, foreign policy, and corporate media establishment keeps telling us it is. In fact, contrary to the mainstream media’s inaccurate caricature of Sanders as a quixotic outlier with no chance of winning, the true political center inhabited by the majority of average Americans was more accurately defined by his vision of democratic socialism than by any of the other major party candidates. Indeed, Sanders was all the bolder because he embraced, rather than distanced himself from, the ordinarily lethal “socialist” label. By crossing this political Rubicon as a major party candidate for president, Sanders changed the terms of the debate about socialism at the highest level of American politics, a stunning historical achievement. Although some of his supporters disagree, Sanders only was able to accomplish this feat because he ran as a candidate of the Democratic Party. His masterstroke was to eschew a direct connection between his movement and European social democracy movements of which many Americans—rightly or wrongly—are suspicious. Instead, he presented democratic socialism within a “New Deal” ideological framework that most Americans could support because it has given us sacrosanct social welfare programs, such as Social Security and Medicare, that have long since become part of the fabric of American life. Were the political reality otherwise, significant numbers of them would be supporting Stein, who espouses many of the same socialist ideas Sanders proposed. Yet, according to polls, a sizable majority plan to vote for Clinton and support for Stein remains stuck at around 2-3 percent of the electorate, certainly better than the 0.36 percent of the popular vote she received when she ran in 2012 under very different circumstances, but still below the 5 percent needed just to qualify for federal matching funds. In 2012, with President Obama, a popular and ostensibly “liberal” Democrat seeking re-election, Stein’s minimal showing was explicable. In 2016, with millions of disappointed supporters of Sanders’ socialist campaign hungry for a progressive alternative, and two unpopular major party proponents of neoliberal economic and neoconservative foreign policies running for president, Stein’s numbers should be much higher. In contrast, Gary Johnson of the Libertarian Party—whose proposals for reducing government’s role in, among other things, health care, education, and Social Security run counter to what most Americans want—is polling at between 8-10 percent. Insofar as a significant percentage of Sanders’ supporters are aware of Stein’s candidacy, her polling performance cannot be attributed solely to the mainstream media’s limited coverage of her campaign. Instead, that the numbers are as low as they are can only be explained by the continued reluctance of many Americans—including many progressives and center-left Democrats—to vote for the candidate of a marginal third party perceived as “leftist” and to not have any realistic chance of winning. The fact that Sanders’ increasingly popular challenge to political orthodoxy arose from within the Democratic Party, rather than a third party, is, of course, what made him so dangerous to establishment elites intent on preserving the status quo and protecting Clinton’s pre-ordained entitlement to the nomination. Determined to extirpate the socialist pathogen from the Democratic Party body politic, and oddly reminiscent of the barons’ removal of the “troublesome” Becket at the exhortation of Henry II, their king, Clinton’s apparatchiks set out to manipulate the primary process and mainstream media coverage of Sanders’ campaign to ensure that his message of economic and social justice would never be presented to American voters writ large in the general election. It is no exaggeration to conclude that the lost opportunity for a major party presidential candidate to engage in and thereby legitimize national debate about socialist ideas—the result of Sanders’ political assassination by Democratic Party elites—is the real and abiding tragedy of the 2016 election, not the faux disturbance in the cosmic equilibrium predicted to arise from a Trump presidency. That Democrats, rather than Republicans, have the metaphorical blood on their hands for this tragedy goes a long way toward explaining why many progressives still cannot bring themselves to supporting Clinton. 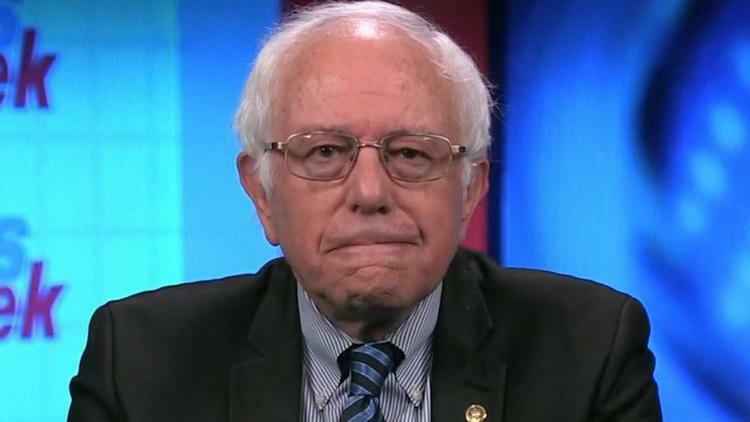 With the possibility of a “socialist” president safely eliminated, we now hear little of the issues Sanders spoke about with such passion and urgency. Instead, the election has devolved, predictably and intentionally, into a political (un)popularity contest between Trump and Clinton, focused essentially on two overarching questions the answers to which have long since been known: whether Trump has the temperament, or Clinton the integrity, to assume the highest office in the land. Despite the lamentable end to Sanders’ campaign, its enduring legacy remains the many Americans who newly recognize the political center—the point of convergence among the views of a majority of average citizens—as being essentially coterminous with the democratic socialism advocated by Sanders, that is, left of where the major party and corporate media elites say it is. This political awakening among millions of Democratic and independent voters is what center-left Democrats and progressive independents must focus their attention and activism on. Both the Democratic Party and the Green Party must reform themselves accordingly by moving, left and right, respectively, toward the true political center so that their policies, platforms and candidates more accurately reflect the views, and more effectively address the aspirations, of a majority of the American people, most of whom are not political or ideological by nature, but largely pragmatic. If any lesson is to be learned from this election cycle, it is that many Americans feel the traditional leaders of the major parties neither hear nor care about their concerns, and so have become open to new leaders who do. Recent polls indicating that a majority of all Americans, and a significant majority of independents, now believe the country needs a third “major party,” demonstrate this yearning for a party of the true political center. Transformation along these lines will be difficult, perhaps impossible, for a Democratic Party in the grip of corporatist and militarist elites out of touch with average Americans, and a Green Party accustomed to being a voice of ideological dissent on the left. Absent such reorientation, however, one can begin to imagine the emergence in the not-too-distant future of a new, genuinely centrist third party, oscillating along a center-left to progressive continuum exemplified by Sanders’ democratic socialism, but shunning rigid ideological labels and the dogmas associated with them—a party dedicated to pursuing peace abroad and social justice at home and to serving the practical needs of a majority of Americans, rather than the financial interests of a minuscule minority of the wealthy and the imperial fantasies of a handful of neoconservative warmongers, the current brief of establishment Republican and Democratic candidates alike. For the present, because Sanders has cast his lot with the Democrats, his supporters will be seeking, first and foremost, center-left reform of the Democratic Party. As there is little reason to be optimistic it will implement such reform if Clinton is elected, the prospects for the Green Party to become a majority party, and the concomitant need to moderate certain of its positions, can be expected to grow in inverse proportion to the Democratic Party’s failure to do so. If neither party adapts, then a new centrist party may emerge from the disaffected ranks of both, and of independents. In that case, Sanders’ historic gambit on the Democrat Party may prove illusory after all but the political revolution he inspired by having taken it will not. One can only hope he gets to see the promised land. Joe Saltarelli is an attorney.